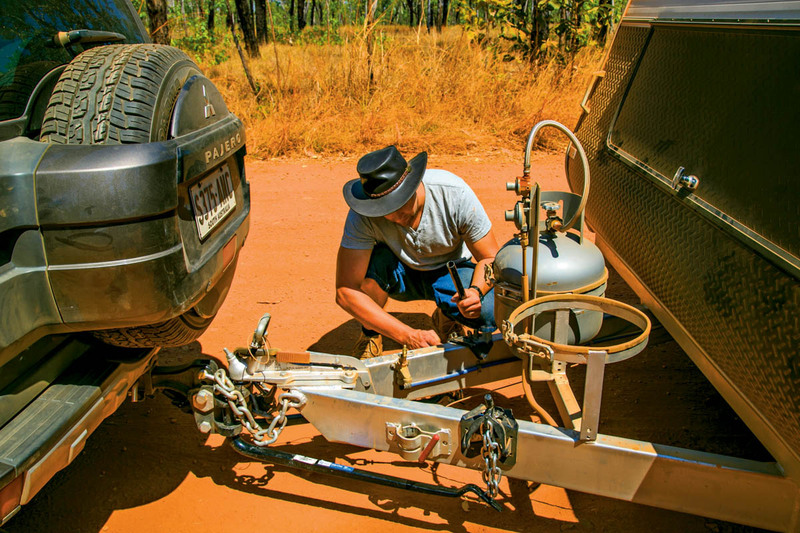 Towing weights whether they be for a tow vehicle, caravan or 5th wheelers are becoming a subject of increasing interest to a number of groups these days, not the least of which being the state road authorities. A problem for many RV owners is that despite the need to stay legal and safe, they don’t understand the relevant legal requirements. Most are quite simple but there are clearly some misunderstandings, not helped in some cases I should point out by quite a few tow vehicle manufacturers and some caravan manufacturers. A typical example being the maximum towing weight of say a ute, which looks good until you do a bit of mathematics around a second figure the Gross Combined Mass, which effectively lowers the maximum towing weight and that’s from figures supplied by the same manufacturer. Aggregate Trailer Mass: (ATM) is the total weight of a caravan/trailer when it is unhitched from the vehicle, which includes the tow ball weight and whatever you add as a payload (e.g. water, gas, and luggage). The maximum ATM is a rating specified by the caravan or trailer manufacturer and must not be exceeded. Gross Trailer Mass: (GTM) is the total weight of the caravan or trailer supported by the wheels when it is coupled to the tow vehicle, which includes whatever you add as a payload (e.g. water, gas, and luggage). The maximum GTM is also a rating specified by the manufacturer and also mustn’t be exceeded. In a nutshell GTM is essentially ATM minus the ball weight. Tare Mass: is the actual unladen mass of the caravan or trailer as manufactured, standing free on a weigh bridge with no payload. This mass is the weight of the caravan as it rolls off the manufacturing line. This means the exclusion of any fluids such as water in the water tanks, gas is the gas bottles etc. This will also exclude the weight of any dealer fitted extras such as awnings or air conditioners. Ball Weight: is the downward load imposed on the rear of the towing vehicle’s tow ball by the coupling of a caravan or trailer. Payload: is also specified by the manufacturer and must not be exceeded under any circumstances. Safety, insurance and warranty may all be affected if the specified payload is exceeded. Maximum Tow Rating: Specified by the tow vehicle manufacturer for trailer towing (not necessarily a 5th wheeler) and must not be exceeded. A point that sometimes causes confusion here is that it’s for the actual weight of the trailer/caravan not the rated ATM. 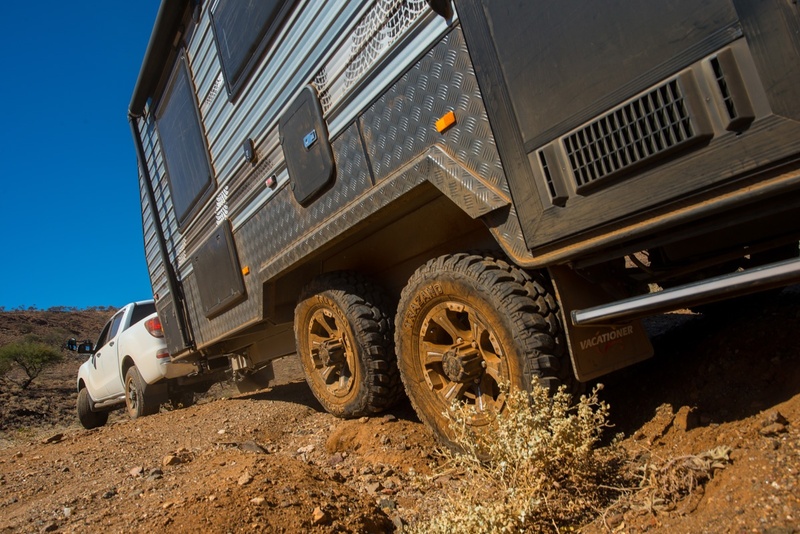 It is quite legal to have a tow vehicle with a tow rating of 3000kg and a caravan with a rated ATM of 3200kg as long as the actual loaded weight of the caravan is less than 3000kg. 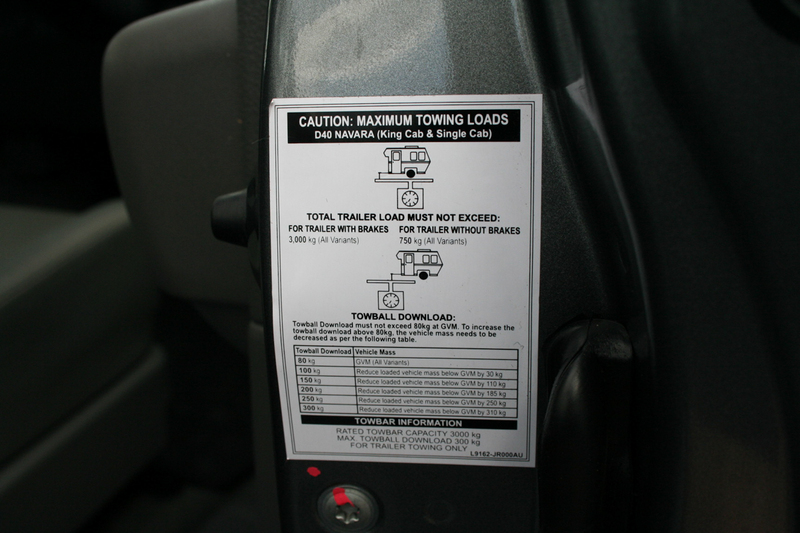 Maximum Tow Ball Mass: Specified by the tow vehicle manufacturer and often 10% of the Maximum Tow Rating but not always. Note well here that some vehicle manufacturers have a sliding scale, depending upon loads on the vehicle. This is also true for Maximum Tow Rating above. Gross Combined Mass: (GCM) GCM is specified by the tow vehicle manufacturer and is the maximum laden mass of the tow vehicle plus the maximum laden weight of the trailer. It’s a legal figure and must not be exceeded. Tow ball mass is a consideration here, it’s either on the van or on the tow ball and doesn’t just disappear. Payload: Simply derived by subtracting the Kerb Mass (tare) from the GVM of the tow vehicle. Figuring Payload – It’s tempting when looking at a set of figures relating to a tow vehicle to grab the one of interest and just ignore the rest but unfortunately it doesn’t work that way. A quick look through the random selection of tow vehicles below will show some interesting differences between vehicles. Frequently the prime figure of interest is the tow rating but as noted above, that can be affected by the GCM. Something else that may well be affected is the payload. The Kerb mass (tare) supplied by the manufacturers does not include any accessories fitted – items like tow hitches, bull bars, extra lights, tool boxes et al. That becomes part of the payload, as does the tow ball mass. Payload can also be affected by the weight of the caravan. There are some tow vehicles around which have a tow rating of 3500kg and a GCM of 6000kg. If a caravan of 3500kg is on the back, then the payload of the tow vehicle can get as low as 250kg and that does include any passengers. 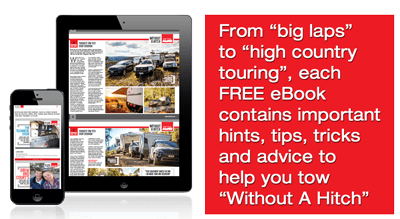 Before purchasing any tow vehicle and/or caravan, it’s a very good idea to have a full understanding of all the relevant ratings because they can differ quite widely.